Mauritius is a volcanic island, measuring 58km from north to south and 47km from east to west. 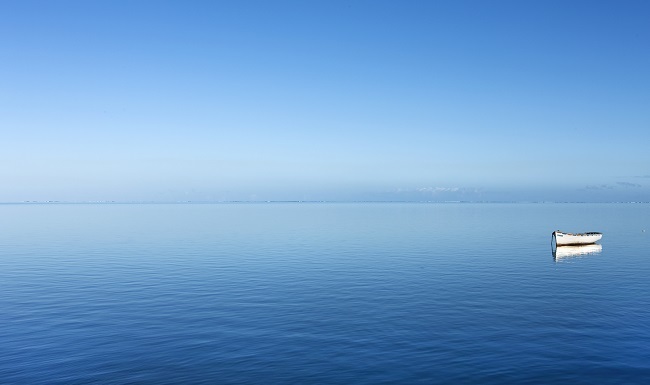 It lies in the Indian Ocean, roughly 800km east of Madagascar. As a country it includes the inhabited island of Rodrigues, some 560km to the north-east, and other scattered coral atolls such as Cargados Carajos and Agalega. Unlike neighbouring Reunion, Mauritius has no active volcanoes, although remnants of volcanic activity - such as Trou aux Cerfs crater in Curepipe and millions of lava boulders - pepper the island. 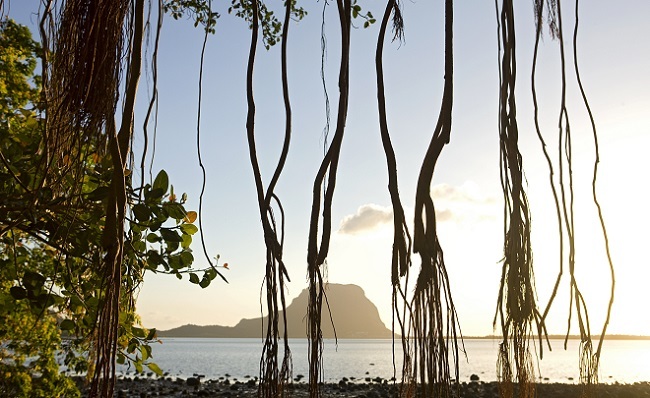 The islands of Mauritius and Rodrigues have had a varied and interesting history. They were first used by the Arabs, but came to prominence when Portuguese traders started to use them in the 16th Century as a stopping point to fill their casks with fresh water and feed on fresh foods before travelling on to India. In 1598 the Dutch landed and spent the next 112 years plundering the island's valuable ebony forests and hunting the Dodo to extinction. On the plus side, they introduced sugar cane. But Cyclones, famine and disease, along with attacks by pirates and unrest among slaves forced the Dutch out, the last of them leaving in 1710. The French took possession of the island in 1715. The next 100 years saw the rise and fall of Mauritius as a French strategic base and trading centre in the Indian Ocean. Although in 1763 the French lost the war against the British in India it was still able to hold on to the shipping routes through Mauritius. However, in 1810 a British Force landed on the island and took control. Under British rule the island continued to prosper, mainly through the export of sugar. British rule lasted until 1968 when Mauritius and Rodrigues became independent. Following the abolition of slavery in 1835 an additional workforce was recruited from India and China. The cosmopolitan mix was further enhanced by the Creoles, a people of mixed African and European lineage. 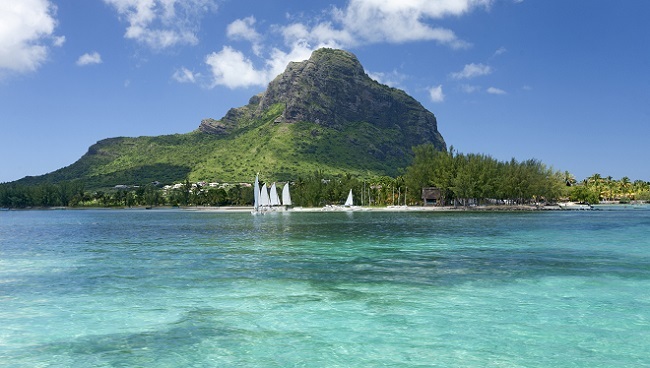 Although English is the official language in Mauritius, French is more widely spoken and is dominant in the media. 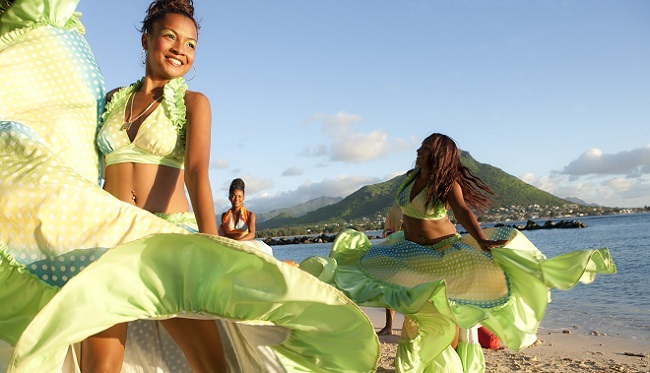 However, the language most spoken by Mauritians is Creole. Originating as the common tongue among slaves of differing origins, and between them and the colonists, the lingua franca of the island is based largely on French with elements of English, Hindi, Chinese and Malagasy. Despite its widespread use, it is neither taught in school or recognised officially. 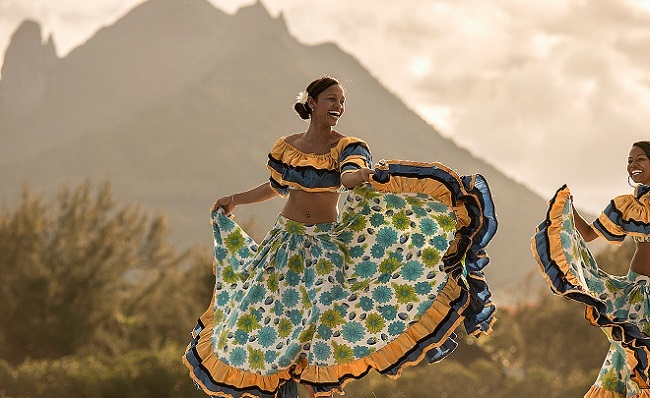 Mauritius is home to a diverse population practising different religions. It is thought that about half the population are Hindu, with the rest made up of Islam, Buddhism and Christianity. Again, its diverse population affords the country a wide choice of cuisine. Seafood is very popular, with smoked Marlin being at the top of the list of local delicacies. Rice is served with most dishes, including curries, rougaille (a meat,tomato, onion dish with herbs and chilli), fricassee, and moulouktani (from mulligatawny, it is a curried soup made with small crabs and pieces of meat). Indian cuisine is another favourite with snacks such as poppadum's, samosas and chilli bites often sold on street stalls. Chinese food is also very popular with familiar dishes such as pork fooyong and sweet and sour fish common. The official currency in Mauritius is the Mauritian Rupee. 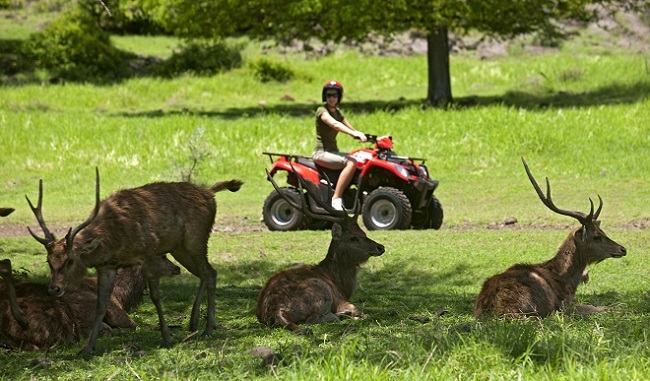 Although probably better known as a beach destination, Mauritius also offers a wide variety of other activities. 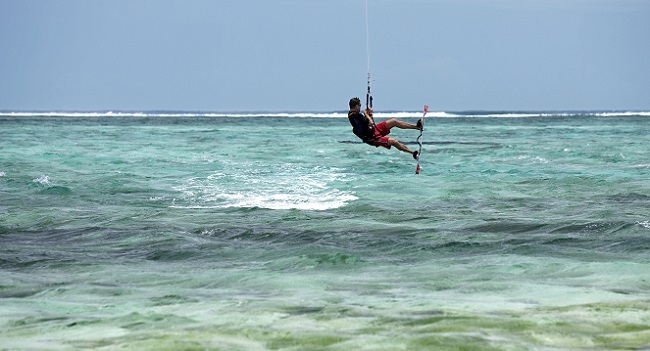 Please see our section dedicated to sightseeing for full details, but to give you a flavour, activities range from water sports, including wind surfing , water skiing, catamaran and sailing trips. 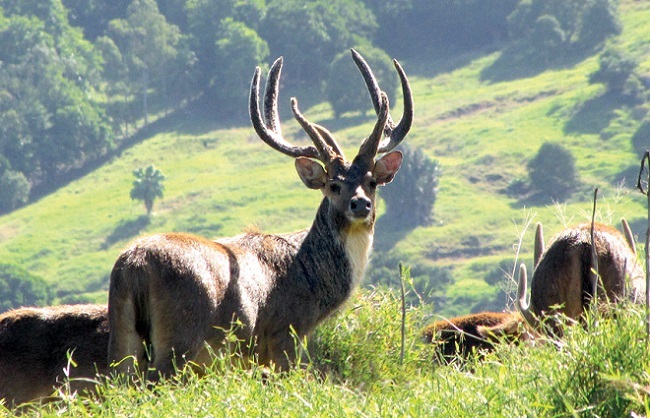 For land lovers, there are nature reserves, botanical gardens, rum and sugar factories, not to mention opportunities to go cycling, quad biking, zip lining and mountain trekking. 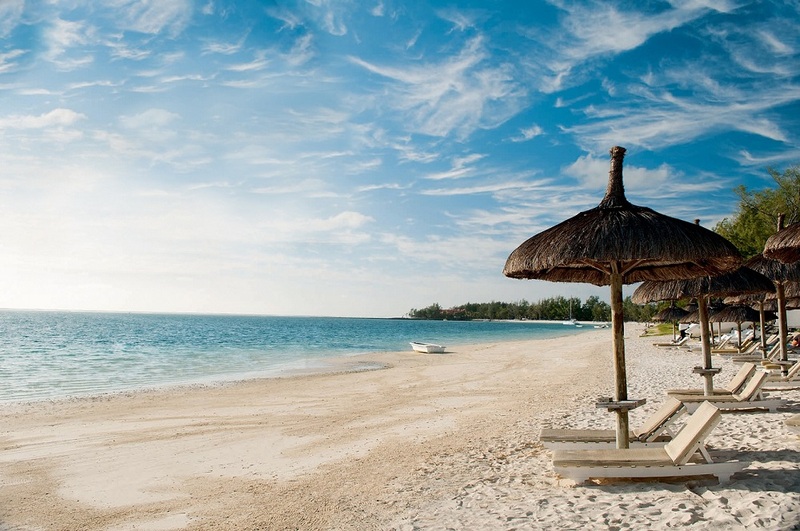 But if it is the beach that has drawn you to Mauritius, then it will not disappoint. You will never be far away from one of the long sandy stretches that surround the island. 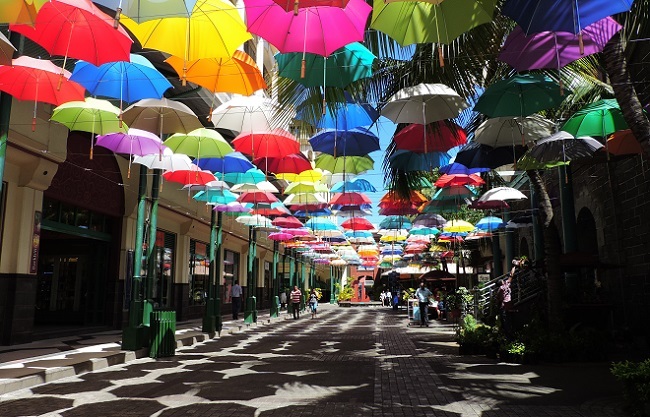 Mauritius enjoys a tropical climate so expect to see a mix of hot sunny weather and moderate to heavy downpours of rain during the summer, to cooler more temperate conditions and less rainfall during the winter. There are two main seasons in Mauritius, Summer traditionally runs from October to April, with Winter falling between May to September. 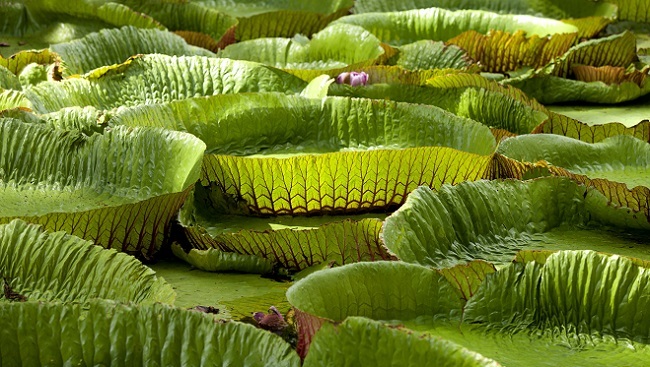 This is traditionally high season in Mauritius. The weather is hot and humid with temperatures averaging around 30-32°C. This is also the season where you expect to see the highest rainfall (particularly during February and March). In addition, the Cyclone season runs from November to April - these do not occur every year, but should one come near the island, expect some stormy weather (usually lasting a couple of days). During the winter the weather is cooler with temperatures more usually between 20-25°C. The winds tend to come from the East and South East which can make the coasts on these sides of the island marginally cooler than on the West. The sea can also be a little cooler at this time. 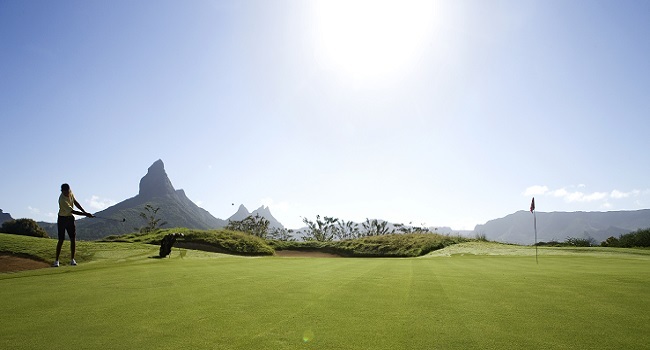 Angelfish travel use British Airways for direct flights to Mauritius. Flights are from London Gatwick and currently operate 3 times a week, but this is scheduled to increase to 5 times a week from Winter 2017. Air Mauritius also operate a direct service 3 times a week from London Heathrow. Emirates offer daily flights from most major UK cities with a stopover in Dubai. When travelling to Mauritius, you should seek advice from your doctor or health professional well in advance of travel to check what vaccinations and any other health requirements may be necessary. 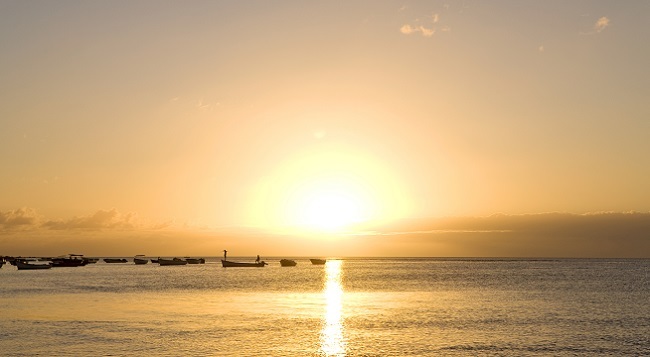 There are additional requirements for those travellers arriving in Mauritius who have previously visited a country with a risk of yellow fever. Your doctor or health professional will be able to advise, but it is likely that you will have to produce proof that you have had the yellow fever vaccination when you arrive in the country. 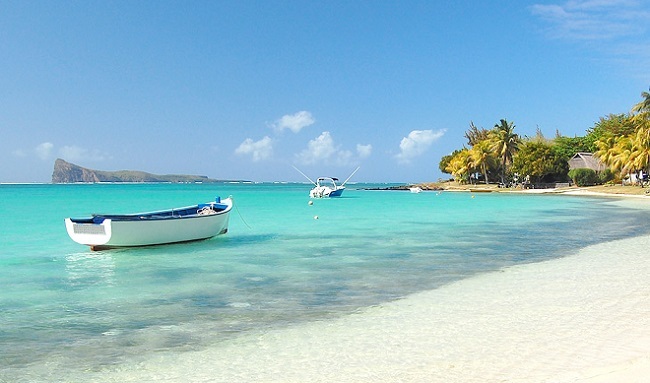 Currently you do not need a visa to enter Mauritius from the UK. On arrival your passport will be stamped allowing you a period of stay not exceeding 60 days. You may also be required to provide evidence of return travel. 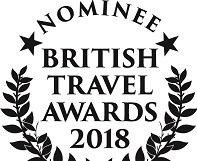 In addition please ensure your passport is valid for your period of stay (we recommend having 6 months validity) and that there is at least one blank passport page. For those who like to get out and explore, there are many ways you can do this. Care hire is readily available and the road system fairly simple to navigate. They also drive on the left. If you would rather somebody else take the strain, then private car tours and coach tours are easily organised. 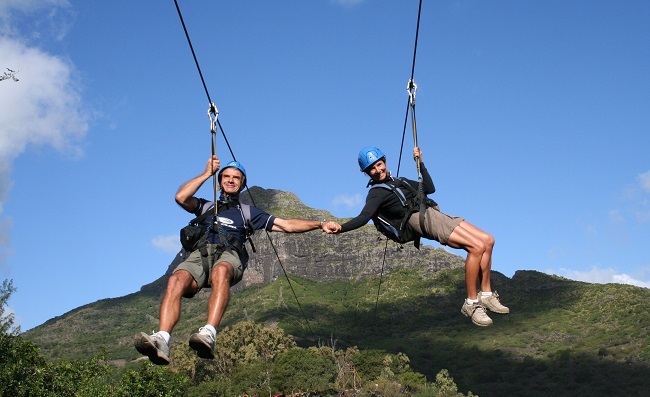 For the more adventurous (and those with deeper pockets) why not treat yourself to views of Mauritius from a helicopter. 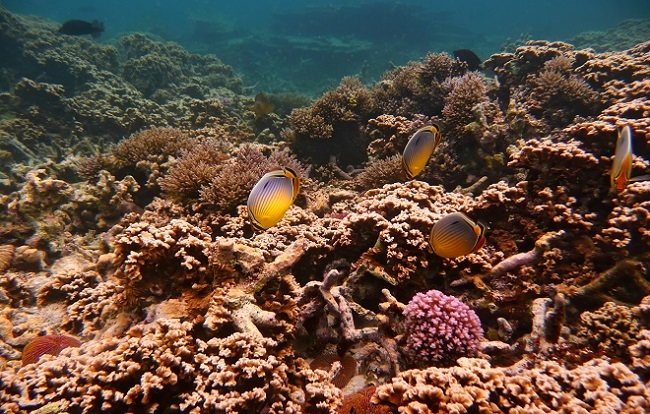 For sea lovers, catamarans, sailing boats, and even a submersible will give you plenty of opportunities to see the marine life on offer in Mauritius. For exercise lovers and for those who want to take a bit more time to enjoy the scenery why not take to the hills for some walking, hiking or horse riding or hire a bike and enjoy rides along the beaches. 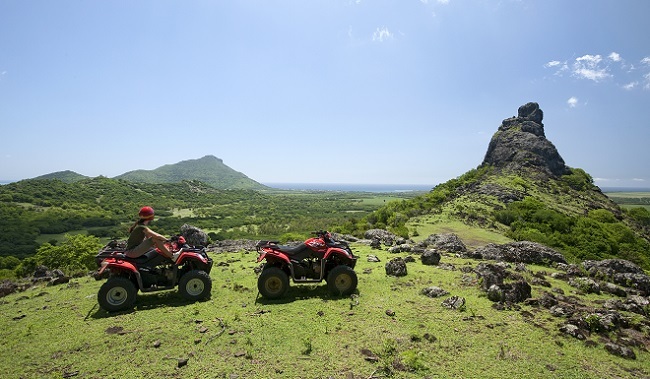 Because Mauritius isn't very big and easy to get around, why not take the opportunity to experience different parts of the island during your trip. Multi centre multi region stays are becoming more and more popular. Spend a few days in one region enjoying the activities it has to offer, and then make your way to another part of the island, stay at a new resort and then enjoy the different scenery without having to travel very far. For example, start in the north and visit the Sugar Factory and botanical gardens at Pamplemousses. 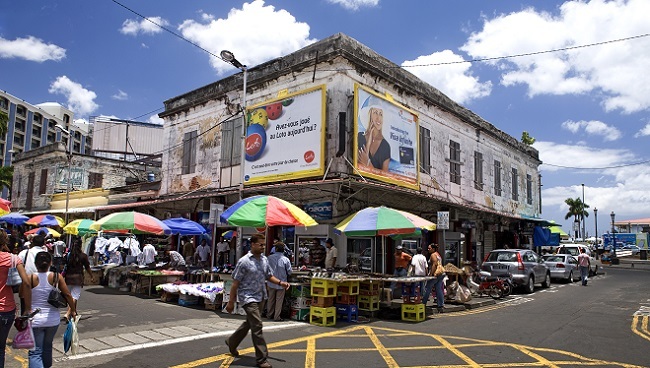 Also take some time to wander around the capital Port Louis and stock up on spices and other curios on offer. 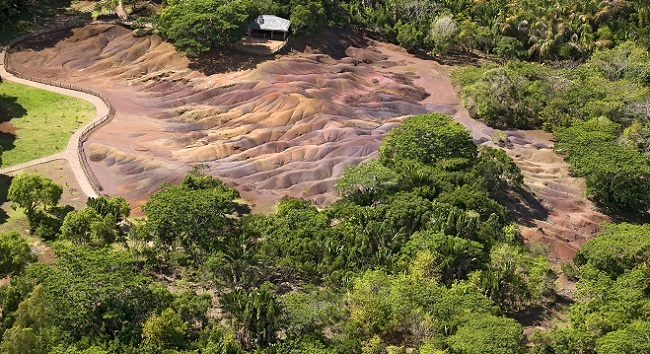 Then take a scenic drive through the mountains (perhaps stopping at the Rum Factory en route) to the South and visit the Seven Coloured Earth and learn the story of Tea in Mauritius. Our section on sightseeing gives a whole host of options to consider - any variation is possible. Mauritius, Rodrigues and Reunion are 3 large islands in the Mascarene Archipelago. It also includes a variety of reefs, atolls and a number of other small islands. With daily flights from Mauritius to both Rodrigues and Reunion, they are easily accessible as either a holiday destination on their own, or as an opportunity to split your stay. 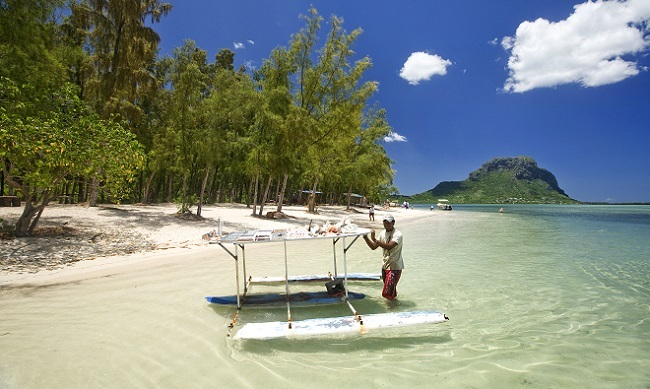 Rodrigues Island is situated off the north east coast of Mauritius, about an hour by air. It measures approximately 18km by 8km in size. Rodrigues is marketed as a destination where you can spend a few days getting away from it all. It is easily explored on foot, allowing you to follow the trails and walk through lush forests enjoying the wide variety of fauna and flora the island has to offer. There are no large shopping malls but the main town of Port Mathurin has a local market every Saturday when ships sail in from Mauritius bringing with them fresh supplies. Fishing has been the main industry on Rodrigues since the island was settled in the 18th Century. Expect to see fish and seafood on any menu during your stay. And for those who fancy a go at catching their own fish, fishing for leisure is a popular activity to enjoy during your stay. The lagoon that surrounds the island also offers you the chance to enjoy sailing and windsurfing. And for those who want to snorkel and dive, just head out to where the lagoon meets the ocean where you will find the coral reefs ready to explore. Reunion is a French overseas territory that lies between Madagascar and Mauritius. The country benefits from a tropical climate and is home to one of the world's most active volcanoes, the Piton de la Fournaise. The Piton de la Fournaise has erupted more than 100 times since the mid 17th Century, with the last eruption taking place on 11 September 2016. The island is 63km long and 45km wide. Its highest point is another volcano, the Piton Des Neiges at a height of 3070m above sea level. The islands volcanic origin and subsequent volcanic activity has contributed to its diverse scenery. For those who enjoy walking, horse riding and mountain biking, there are over 1,000km of trails available for you to explore. 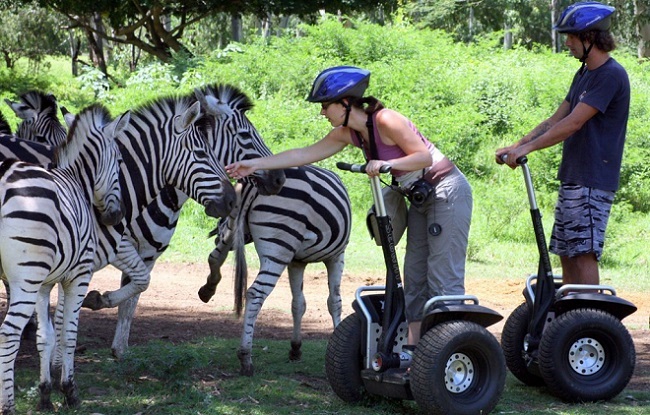 Enjoy lush vegetation, rivers and waterfalls along with a wide range of tropical flowers and birdlife. For beach lovers, there is plenty of choice. For those who want to snorkel, Hermitage Beach is a popular choice. For those looking for other water sports, such as surfing, La Plage des Brisants is recommended. And for something unique, a visit to L'Etang-Sale is a must see. The sand is black, a result of tiny fragments of basalt which occurs when lava meets the water.